This is one for the adventurous kind! 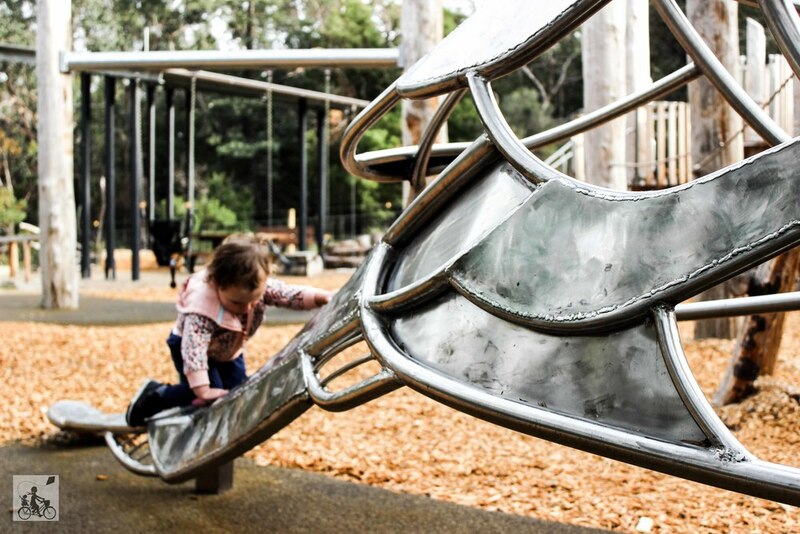 Welcome to Valley Reserve - winner of the 2016 best new major playspace in Victoria in the Parks and Leisure Australia awards. 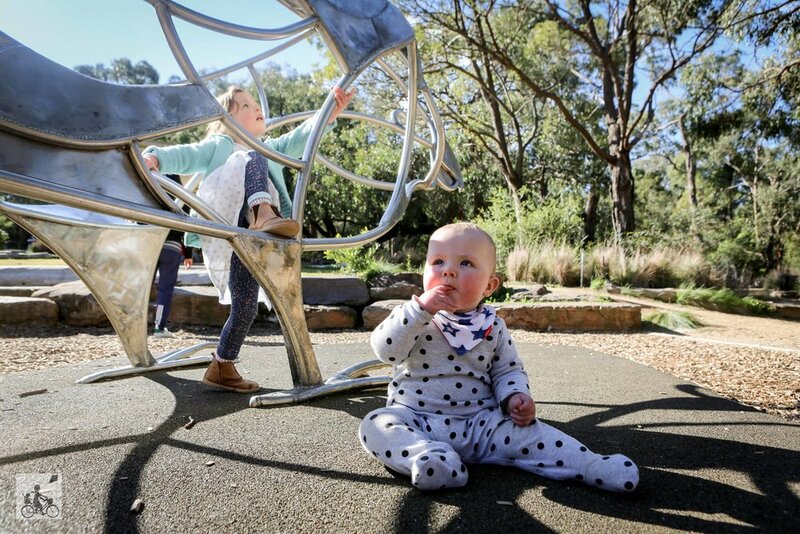 A quiet and *almost* hidden treasure in Mount Waverley. This AMAZING space is huge and has a little bit of everything, although best suited for older kids. At 18 months it was too much, but now at nearly 4 years, Bubs is getting more and more from this playground. 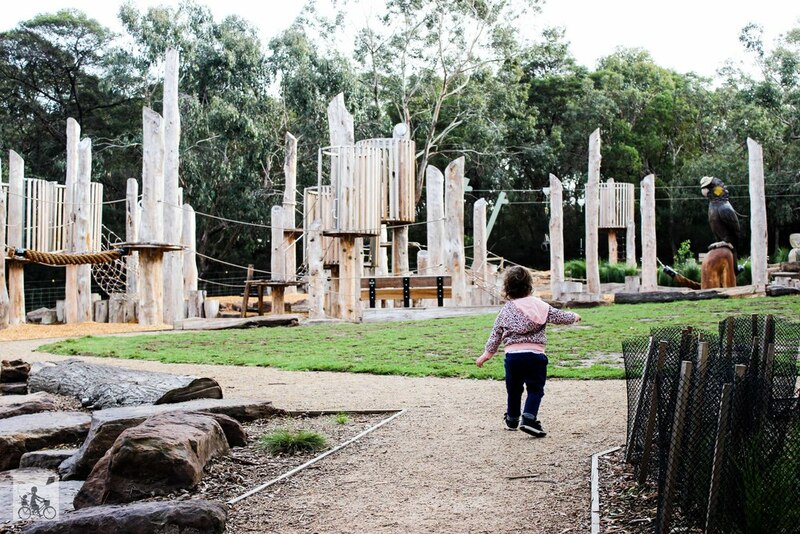 The timber poles dominate the main space (the Yellow-tailed Black Cockatoo zone for those playing along at home) and each crows nest type structure is linked by ropes - basically like the ropes course from your grade 5 camp memories. 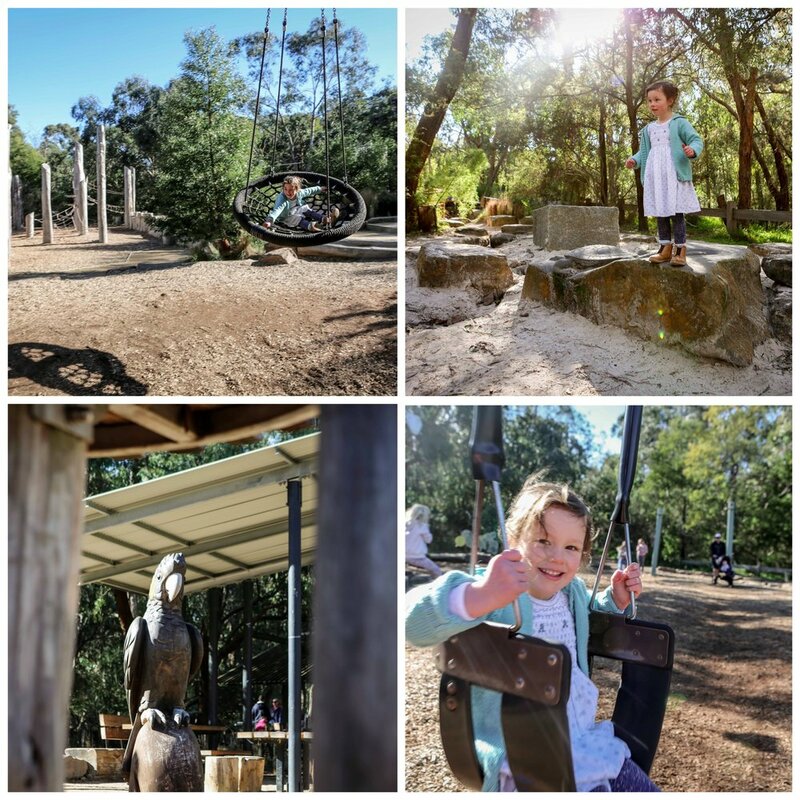 Up the top, the big kids will zoom along the flying foxes and back near the carpark, the little ones will love exploring and climbing all over the King Parrot. 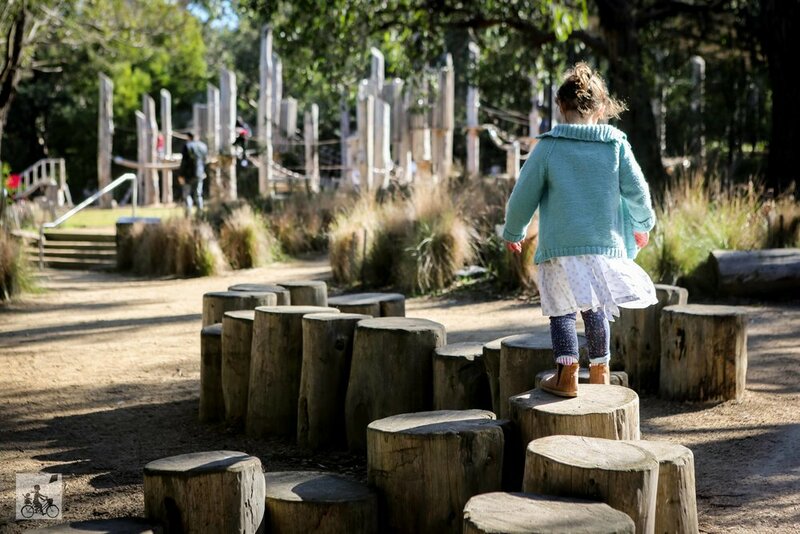 Mamma's favourites have to be the two sandpit and nature play zones which is great for the toddlers. The sandpits feature massive quartz blocks with crevasses to collect the water and a noughts and crosses board! PERFECT for sand play! The nature zone to the left is difficult to see but don't miss it. The Eastern Long-necked Turtle sits here and is designed to be a quiet refuge separate from the main play space. No wonder Mamma almost walked past. Mamma's special mention: If you need a coffee before or after your playdate with the birds, Mamma can't go past South Society along Blackburn Road.